Vickie Saito is a dancer and choreographer, E-RYT500 Yoga teacher, NASM Certified Personal Trainer, MELT Instructor, and Plant-Based Nutrition Specialist. Her depth of study and more than 28 years of experience in the health and fitness disciplines has fueled her philosophy that we all have the innate capacity to heal, find wholeness, and radiant health. Growing up as a dancer and gymnast in the Columbia River Gorge, Vickie fell in love with movement and nature at an early age. After dancing professionally in Europe, she knew teaching would be in her future. She started teaching in 1990 in the Portland, OR area and has developed an expanding community of dancers and yogis ever since. Vickie leads annual Inspired Dance and Yoga Retreats to the Oregon Coast and Mexico, fusing together her two biggest passions: movement and travel! 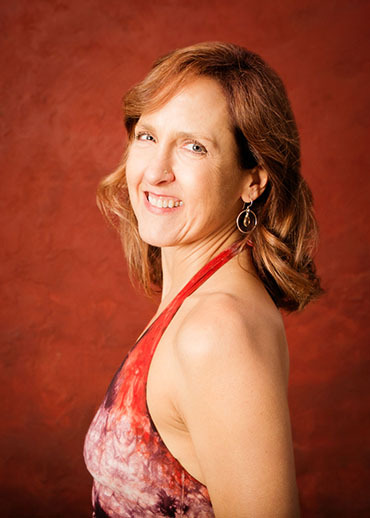 On the dance floor, Vickie is known for her open-hearted, expressive teaching style and ability to tailor movement to all levels and abilities. Her yoga classes offer a blend between vinyasa (flowing) and restorative (calming) asanas, and are deeply rooted in the universal principles of alignment and mindfulness practices. What Vickie loves most about Inspired Dance, Yoga and MELT is that they offer beautiful balance of movement and healing practices that anyone can do to create whole health. She teaches weekly classes to adults and specializes in adapting Inspired Dance and Yoga for teens through the West Linn High School Wellness classes. As a personal trainer, Vickie loves coaching and supporting her clients in setting goals and manifesting them! Whether through Dance, Yoga, MELT or the blend of all three modalities, she creates a personalized program for each client that meets them where they are. Vickie's classes, workshops and retreats provide an opportunity for you to dive deep into your own inner landscape, to connect with a vital community of movers and healers, and regain your love of natural movement. She loves leading master classes, workshops, and ocean retreats around the globe that are designed to unite body, mind, emotions, and spirit through mindful movement.